Tears, Lies – and Ice Cream! cover shows Weisse Vase Mit Heidekraut by Oskar Moll. The year Aunt Hat came to us, my main ambition – apart from rescuing someone from drowning, or winning the Victoria Cross – was to go down to Jock’s Icecream Parlour in the main street of Monks Ford and eat as many Knickerbocker Glories as I could pray for. Ellen, our mother, said this was a pretty limited ambition for a girl of 12 and that I ought to have learned by now that icecreams made me sick. Boyd said that was why I wanted them: it was a clear example of a man’s reach needing to exceed his grasp, what else is heaven for? If an intro grabs me (and this one did – it’s right up there with I Capture The Castle) I can’t put a novel down. Imagine me, if you will, sat on the floor in the Back Room of the Oxfam Bookshop, surrounded by boxes and bags, all stuffed with books that must be sorted, priced and stacked on shelves… But I’ve been sidetracked because I spotted a Virago edition of Nina Bawden’s, A Little Love, A Little Learning, and I opened it (just to have a quick look you understand), and once I started reading I couldn’t stop! That was some weeks back, and I didn’t get round to writing about it, but I notice the Virago Modern Classics Group on LibraryThing is running its traditional All Virago All Augustchallenge, so this seems an apt moment to post my thoughts. A Little Love, A Little Learning is a brilliant book. I loved it. And if you’ve never read any of Bawden’s work for adults (she seems to best known as a children’s author) it’s probably a good place to start. It is 1953, Coronation Year, and we are in Monks Ford, a small, suburban town on the banks of a Thames tributary, about 25 miles from London. Factory hands have jobs in Slough, while office workers commute to London. It’s a perfectly drawn picture of lower middle-class life, with all its values and social mores, in that particular location, at that particular time, and Bawden captures the feelings of uncertainty and ‘not-belonging’ that can over-ride everything else when you’re young. Our narrator is 12-year-old Kate, poised on the threshold of adolescence, trying to make sense of the world around her, her feelings, and her changing body. She lives with her sisters, Poll (7), who is going to be Elizabeth I in the Coronation Pageant, but would rather be Henry VIII, and Joanna, who is almost 18 and worries about getting old. Their mother, Ellen, loves them, but finds it hard to express her feelings. For her life is a serious business, and she has sterner ideas about bringing up children than most mothers. Their stepfather Boyd, the local doctor, is wise, kindly, loving and sensible. In many ways he and Ellen are surprisingly modern for their time. For example, they believe in telling the girls the truth, especially with things like the correct medical terminology for parts of body, and the facts of life – but they conceal their own pasts, which impact on the present. However, the past comes to light, and tensions surface as Kate and Joanna struggle with the process of growing up. No longer children, but definitely not adults, they are surprisingly mature and understanding about some things, but unable to cope with their own feelings or those of other people. Facts are half understood, and they fail to grasp the consequences of their actions. Boyd’s abilities as a doctor and his standing in the community come under scrutiny when he inherits money from an elderly, reclusive woman who knew him long ago when she was a spirited young woman and he was a lonely child – a situation fuelled by Kate’s lies. And the tale of Ellen’s life with the girls’ vanished father and her relationship with Boyd (which breaks the social codes of the day) is revealed when her old friend Aunt Hat comes to stay, so Joanna tracks their father down and invites him to visit. Aunt Hat, ‘as soft and sweet as cake’, has undergone a hysterectomy and has been attacked by her husband, who is now awaiting trial for assaulting her stepson from a previous marriage. Unlike Boyd and Ellen, she doesn’t hide her past – she almost revels in it. To all intents and purposes she still loves her violent husband and excuses his behaviour. Kate and Joanna are aware that ‘she doesn’t always see things as they are, but as she would like them to be’. She, and other characters, modify the truth to suit their vision of the world. This difference between what you feel and what you think you feel, between life as it is and life as we would like it to be, runs through the novel, raising questions about truth and illusion, delusion and lies. And there are issues about the nature of relationships, between friends, between husbands and wives, between parents and children. The themes may be serious, but the book is funny, and sad and touching. Boyd, Ellen, Joanna, Kate and Poll pull through and emerge a little sadder perhaps, but stronger and wiser, than before, still a family, but with more self-knowledge, and more awareness of the things that matter in life. Kate, especially, develops an understanding of Boyd and what he has done for them over the years. He had given us everything, without asking, and we had given him nothing; he had looked after us, and we had grown, taking his youth with us; he taught us things, played with us, held bowls for us to be sick in, and we had done nothing back. We had not even thought of him, we had lied, deceived, and between us brought him to the edge of ruin and disgrace, but we had not even thought of him now: we had been sitting drinking tea and eating chocolate cake. were a much more exotic treat! This sounds like a good read, touching on some serious topics. Glad to know too that it has humour as well or else would be quite heavy. I've never read Bawden, so, thanks for sharing this. Definitely not heavy Arti. The issues are not obvious, because it's character-led. It's written with a light touch, and is very, very funny in a lot of places. I read some of her children's books to my daughters more than 20 years ago, but this was the first of her adult books for me, and I didn't know what to expect, but I would recommend this. I read this a couple of years ago and loved it .. so much so that I could read it again quite soon. As I lack your reviewing talents it was a thrill to see you writing everything I felt. As for knickerbocker glory: here in Rutland the County Museum has a small 1950's exhibition and there's an advertisement from a jelly firm (Chivers,actually) from Coronation Year showing how to make a replica of the Imperial Crown in purple jelly with suitably-coloured blobs of butter cream for the gold and ermine and sweets for the jewels. I think it's a case of Don't try this at home. I really loved this book, so I'm glad it touched a chord with you. 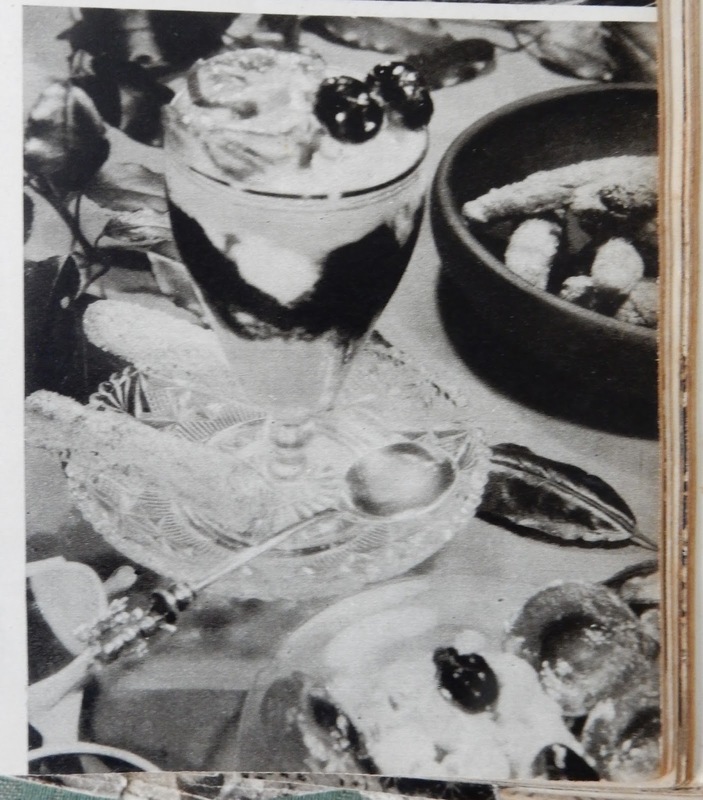 The idea of trying to create a crown from jelly sounds horrendous – did they have special crown shaped moulds I wonder, or just use a pudding basin and embellish it with the butter icing and sweets? I'm sure it's the kind of thing Ellen would have hated! It sounds wonderful! Anything compared to I Capture the Castle is a must-read for me. 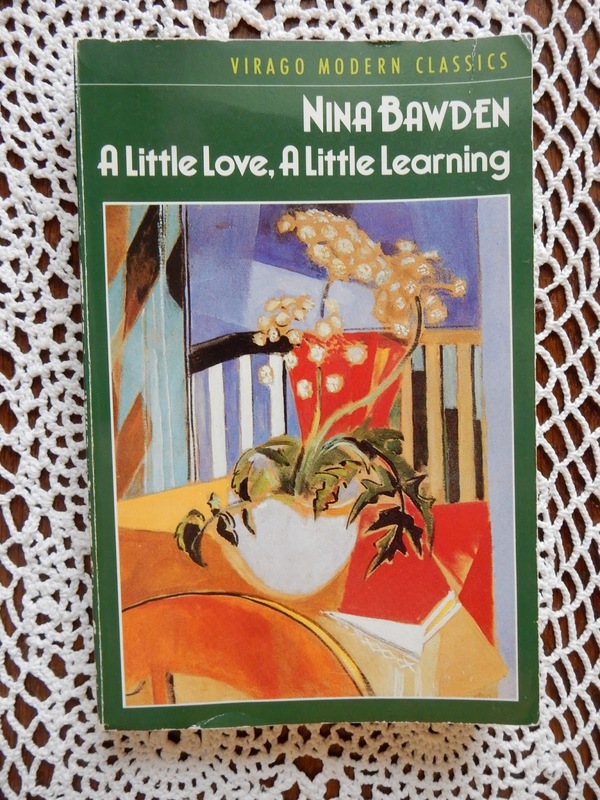 I have rad some Nina Bawden and liked what I've read. I am sure you would like this. It's beautifully written, very true if you know what I mean – the settings, the characters, the things that happen and the way people deal with them. Oh I really want to read this ��but I don't have a copy. Soon remedied I suppose. I love Nina Bawden and I'm glad there are still so many I need to read. I'd always thought of her as primarily a children's author, and I suspect that's her most other people see her these days, which is a shame, because she is such a good writer, and is excellent at delving below the surface of quiet, respectable middle class lives to uncover hidden secrets.